Posted on August 5, 2013 by Barbara H.
Even though I’ve been discussing The Hidden Art of Homemaking by Edith Schaeffer a chapter at a time at The Hidden Art of Homemaking Book Club, I wanted to write an overall review to have one post to refer back to when discussing the book. Too, I thought perhaps some who weren’t interested in reading the weekly chapter summaries might enjoy perusing one smaller review. “If you have been afraid that your love of beautiful flowers and the flickering flame of the candle is somehow less spiritual than living in starkness and ugliness, remember that He who created you to be creative gave you the things with which to make beauty and the sensitivity to appreciate and respond to His creation” (p. 109). As a teen I struggled with whether the desire to look “pretty” and dress nicely was a fleshly one, and as a young woman I had the same struggles in regard to wanting an attractive home. Was it a waste of the resources God gave me to use them in such a way, or would it be in better keeping with Christian character to buy bargain basement items, no matter whether they suited me? Were decorative items wasteful and selfish or an enhancement? It helped me greatly to realize that God could have made the world simply functional, but he made it beautiful as well. Another help was realizing that the Proverbs 31 woman dressed in “coverings of tapestry; her clothing is silk and purple,” the finest in her day. I read Edith’s book as some point during this time, and I remember feeling so relieved that my natural inclinations were okay. She discusses the principles above, and the principle of balance: we have to keep our artistic desires within the context of our finances, our season of life, our responsibilities to our families and our calling in life at any given point. It’s possible to go overboard. Yet within those contexts, God gives us great freedom of self-expression which in turn can be used to glorify Himself and draw others to Him. She does concede that in some cases we may only be able to cultivate an appreciation for some of these areas rather than a talent in them, and she acknowledges that probably no one can incorporate all of them at once, but she makes a strong case for each one and brings out a variety of ways to employ them in our homes. The book isn’t flawless: some of its examples and illustrations are a bit dated (it was originally published in 1971), sometimes Edith can get just a touch preachy, sometimes she goes on and on with examples when we’ve gotten the point already. But overall it is great encouragement and inspiration to employ creativity. I enjoyed perusing the book again. I am sure that there is no place in the world where your message would not be enhanced by your making the place (whether tiny or large, a hut or a palace) orderly, artistic and beautiful with some form of creativity, some form of ‘art’ (p. 213). Posted on July 22, 2013 by Barbara H.
We’re discussing The Hidden Art of Homemaking by Edith Schaeffer a chapter at a time at The Hidden Art of Homemaking Book Club hosted by Cindy at Ordo Amoris. The last chapter of the book is “Environment,” and I wasn’t sure what to expect from it at first. Edith had promoted involvement in nature and decried the “plasticness” of her era earlier in the book, so I assumed this chapter would be along those lines. But I suppose that would have been a bit redundant since she had already discussed those things, and I was delighted to find she was referring instead to the environment each of us creates through our personalities, outlook, etc., as well as how we keep and decorate our homes. Perhaps some would understand this better as an aura, though not in the New Age sense of the word. I marked many long paragraphs in the book that would be too much to reproduce here, so let me see if I can pick out a few of the key thoughts. We produce an environment other people have to live in. We should be conscious of the fact that this environment which we produce by our very ‘being’ can affect the people who live with us or work with us. The effect on them is something they cannot avoid. We should have thoughtfulness concerning our responsibility in this area. We should be artists in doing something about the environment we are creating – artists before God, of course. We have His help because we are artists in this sense, in the hands of the Holy Spirit; for if we are Christians, He is dwelling in us, and we can ask for His power to help us. Here in this life, a Christian should be an environment which is helpful to the people with whom he lives. This is not just a matter of dress and tidiness but also of character and spiritual life. It is worth considering what sort of an “art form” we are. What sort of an environment do we drag in with us? How do we affect other people in their attitudes toward that which we are supposed to represent? (p. 212). “We are either being what the Holy Spirit would have us be, or we are hindering His work in us and through us. As God created the world, He was creating an environment for man which, we are told, was ‘good.’…It was a good environment before sin entered to spoil it. But Christians, who are restored to relationship and fellowship with God, should ask that they might be an environment that is conducive to others wanting to come to God (p. 212). I was just thinking today, not for the first time, that I get frustrated at sentimental prose which seems to indicate that one can either have a clean house or spend quality time with kids, and of course the more godly person chooses time with kids. But does it have to be either/or? Sure, there are times we get too task-oriented and have to remind ourselves that people are more important than to-do lists. But I think one of the best ways to avoid this dichotomy to to integrate fun and family time into work. I appreciate that in the Little House on the Prairie series, and though I’m not a big proponent of Amish culture, I do like that both in the home and the community people pitch in together to work. In that way children learn the satisfaction of seeing a job well done, learning new skills as they grow up, and fellowshipping with others at the same time. My mother-in-law was a great example of this: until she started to decline, she always had a cheerful industriousness about her, and I appreciate that that rubbed off on her youngest son. I’m afraid I let my own negative attitude about work rub off on my children, but on the other hand I think they do have pleasant memories of working on projects with their dad in particular. One of Edith’s examples in the book is that of roommates and how the slovenly habits of one affect first the mood and then the motivation of the other. As Edith said in some of the quotes above, our “environment” can either lift someone up or drag them down. It goes without saying, too, that ‘The Environment’, which is you should be an environment which speaks of the wonder of the Creator who made you (p. 213). I want to thank Cindy for hosting this book club. I gleaned much, much more out of the book by just reading a chapter a week, writing up thoughts about it, seeing what others had to say and pondering sometimes different perspectives or emphases, and then thinking about it all through the week before the next chapter, than I would have just plowing through on my own. I am thinking that this extended working through a non-fiction book is a much better way or retaining what I read. This has been at least my second time through the book – I may have read it more times than that, but I can’t remember. I’ve enjoyed going back over it once again. Posted on July 16, 2013 by Barbara H.
The subject of Chapter 13 is integration, and though it is a vital subject, I wondered at first how Edith thought it fit in with the overall concept of creative homemaking. She begins by quoting Revelation 7:9-10: “After this I beheld, and, lo, a great multitude, which no man could number, of all nations, and kindreds, and people, and tongues, stood before the throne, and before the Lamb, clothed with white robes, and palms in their hands;And cried with a loud voice, saying, Salvation to our God which sitteth upon the throne, and unto the Lamb.” At that time, the barriers of differing language and class will have been removed, there will be no more war, hostility, anger, or sin. Everyone who has been born again by faith in Jesus Christ as Savior will be perfectly integrated into one family, so it behooves us to start living that way now. She quotes as well Mark 10:13-14: “And they brought young children to him, that he should touch them: and his disciples rebuked those that brought them. But when Jesus saw it, he was much displeased, and said unto them, Suffer the little children to come unto me, and forbid them not: for of such is the kingdom of God.” “The disciples were displaying an attitude which regards adults as more important, while children needed to be brushed aside. Jesus was quite definite not only that children could come to Him but that the disciples had it all backwards. The adults needed to come as the children come. It is the trust of a child for its father that is needed, the whole-hearted belief” (p. 198). She points out that at that time when we stand before God’s throne, every age will be represented as well. “What has all this to do with creative living, as a Christian?” (p. 199). She posits that laws do not solve the problem. They may open doorways, a good beginning, but they cannot make a people truly integrated in heart. “True integration is a matter of people really feeling a oneness with others and attempting to understand them in personal communication of the sort that takes place around the fireplace, washing dishes together, having tea together, eating together, walking together, discovering things in common together. True integration is a matter of people having spiritual communication and fellowship together, discussing and discovering new thoughts and ideas by sharing trends of thought, or thinking out loud and having some kind of creative activities or recreation together – by choice, not law” (p. 200). Integration of age, too, can best be accomplished at home. I grew up in the “children should be seen and not heard” era, and while children do need to learn not to interrupt and that the conversation should not center around them all the time, they should also be included in the conversations. “Family occasions can be planned to include each member of the family: meals together during which the viewpoints and interests of the children are given a place and during which the world events discussed are not discussed as if the subject matter were high above their heads, with the adults being careful to explain, even to the five year old, what is being talked about. Opinions and reactions should be encouraged” among all the different ages and sexes present (p. 201). I’m not of the opinion that children should never do things with others their own age, but I think all too often in our communities and churches we are separated by age and life situation too much. At one church we were in, there were programs for children through the sixth grade at each and every service, so that, if a family participated in all of them, their children would never be in “big church” with the adults until they were in junior high. We have no objection to Sunday School and children’s church – it is helpful at times for children to receive instruction on their level in a way that can handle their wiggliness – but we thought having them “out” at every service was overdoing it, and voiced that to the pastor. He said he understood, but he had parents begging him for these programs (it wasn’t the other adults wishing the church would do something with “those kids” – it was the parents.) That was so sad to me. When our boys were small, the nursery only went up to age 2, so at a very young age they started coming into the worship services. The parents with younger kids tended to sit in a section off to the back so as not to be a distraction, and we brought small notepads and pencils and such for the kids to “doodle” while the service was going on (it’s too much to expect a two year old to sit completely still for an hour and a half and listen, but on the other hand, they can learn to be relatively still and quiet with something to occupy their attention). Ours did fine with that. They loved to wave their arms while the songleader led singing, they played “preacher” at home (my husband even build a kid-sized pulpit for them to play church at home). Once when my oldest was drawing on his notepad, the pastor was preaching and asked a rhetorical question, and my son answered it out loud. That caused a few giggles in the area, but I was gratified that he was listening and taking things in even at a young age. And though we’ve been blessed with good youth pastors and my kids have benefited from youth group, that can be overdone as well. I’d like to see more projects where the teens interact with other members of the congregation. In the first church we attended when we were married, the adult Sunday Schools were divided by topic, and though people might tend to stay with the same group through different topics and teachers, people were free to go to whichever one they wanted. We had a wonderful mix of single adults, young married couples, middle aged, and older adults, which added a lot of depth to discussions. In most of the churches we have been in since, the adults are divided by age, and the “singles” are sent to their own class. In one church, a young married woman came to the ladies’ group meeting, saw that all the women there were older than she was, and she never came back. That really pierced my heart, especially as ladies’ groups I had been in before had had a great mix of ages and experience. We tend to seek out people just like ourselves to extend friendship. That’s natural and there is not anything necessarily wrong with that, but we shouldn’t stop there: we should reach out to and interact with people of varying nationalities, skin colors, ages, life situations, etc. If we have a group of friends who are all young married couples, and one couple has a baby, they shouldn’t feel they don’t “belong” any more, the others shouldn’t feel they can no longer relate. Yes, there are changes that will come in, but that’s not a bad thing. That’s life. We shouldn’t regard the “singles” (I wish we could come up with a different name) as incomplete and not able to join in with the rest of the adults until they have a mate. Yes, there is some advantage in breaking off into different groups in like stages of life – the young adults having a camp-out, the teens going on a mission trip or having a fellowship, young moms getting together to encourage each other, etc. But we shouldn’t be totally segregated from anyone different from ourselves. We have much to learn from each other. I’ve often said that the older women teaching the younger as instructed in Titus 2 was probably not originally in classes and seminars (though there is nothing wrong with those occasionally), but rather they probably occurred in everyday life as the women did chores together, had each other over for meals, etc. When you really get to know people, their hopes and fears, aspirations and disappointments, viewpoints and misunderstandings, there is a sympathy and a desire to help, a true compassion and love which begins to grow (p. 202). The tight little segregated life, always spent with people your own age, economic group, educational background, and culture tends to bring an ingrown, static sort of condition. Fresh ideas, reality of communication and shared experiences will be sparks to light up fires of creativity, especially if the people spending time together are a true cross-section of ages, nationalities, kindred, and tongues (p. 202). You do not have to be a delegate to an international gathering on a large scale to do something. The most real ‘something’ you can do is within the family unit, as you open it up to others, to a cross-section of ages and peoples, or the gathering together of community life on a small scale (p. 203). There is no real possibility of an integration that is true and meaningful in the total sense unless it is based on the inner integration which God made possible through the Second Person of the Trinity, Jesus Christ. He died so that man might move out of his ‘segregated’ position, segregated from God, from other men, and even from himself in so many aspects, into true integration. This true integration comes only when man is integrated with the Trinity. Jesus becomes one’s Saviour, as one accepts that which He has done for man on the Cross. His death is not for ‘mankind’ as an impersonal whole, but for each individual who accepts Him. God the Father becomes one’s own Father at that time, and the Third Person of the Trinity, the Holy Spirit, indwells one, so that one is truly integrated with the whole Trinity. When this has happened, a man can be helped by the Trinity to find at least the beginning of a true integration with other people. We can have help in understanding others, loving them and communicating with them (p. 204). 11 Therefore remember that at one time you Gentiles in the flesh, called “the uncircumcision” by what is called the circumcision [the Jews], which is made in the flesh by hands— 12 remember that you were at that time separated from Christ, alienated from the commonwealth of Israel and strangers to the covenants of promise, having no hope and without God in the world. 13 But now in Christ Jesus you who once were far off have been brought near by the blood of Christ. 14 For he himself is our peace, who has made us both one and has broken down in his flesh the dividing wall of hostility 15 by abolishing the law of commandments expressed in ordinances, that he might create in himself one new man in place of the two, so making peace, 16 and might reconcile us both to God in one body through the cross, thereby killing the hostility. 17 And he came and preached peace to you who were far off and peace to those who were near. 18 For through him we both have access in one Spirit to the Father. 19 So then you are no longer strangers and aliens,but you are fellow citizens with the saints and members of the household of God, 20 built on the foundation of the apostles and prophets, Christ Jesus himself being the cornerstone, 21 in whom the whole structure, being joined together, grows into a holy temple in the Lord. 22 In him you also are being built together into a dwelling place for God by the Spirit. (Ephesians 2:11-22, ESV). 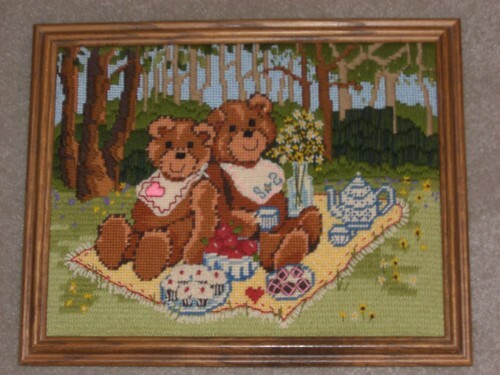 Posted on July 9, 2013 by Barbara H.
Chapter 12 discusses clothing, and Edith brings out many important points to consider. Some consider certain colors or patterns to be wrong, some feel it is more spiritual to dress in styles just before the current times. For some time conservative Christians in my area looked like they stepped off the set of Little House on the Prairie. How does one discern what is truly pleasing to the Lord in our clothing? Edith brings out first of all that Jesus said, “Consider the lilies how they grow: they toil not, they spin not; and yet I say unto you, that Solomon in all his glory was not arrayed like one of these. If then God so clothe the grass, which is to day in the field, and to morrow is cast into the oven; how much more will he clothe you, O ye of little faith?” (Luke 12:27-28). She then spends several paragraphs considering flowers of the field, their variety and beauty, and reasons that the God who designed them must not have intended for His children to be dressed dowdily. He who could have made the world simply utilitarian also made it beautiful and filled it with variety. She points out, too, that the Proverbs 31 woman “maketh herself coverings of tapestry; her clothing is silk and purple,” not burlap or drab attire. If I can go off on a side trail here, I agree with her on this, but it has bothered me for a long time that the world in general or sometimes Christians in particular decide that a style is suddenly old and unworthy any more. For instance, some years ago someone called denim jumpers “home school mom’s uniforms,” and then suddenly it was uncool to wear denim jumpers. I loved them for their durability and continued to wear them until I couldn’t find them any more. When I was growing up, a “comb-over” was what we called the hairstyle when a balding man tried to comb a few strands of hair over his bald spot, but for a while it was what some people called it when a man parted his hair on the side, and it was deemed too conservative and straight-laced, We can be silly with some of this kind of thing, and we have to be careful not to judge people unfairly on one side or the other. But yes, I do think that dressing deliberately and obviously out of style and out of touch with the times is not something that in and of itself glorifies God. Back to Edith’s book: she also discusses appropriateness and how it can vary depending on what country, area of the country, and community one lives in. She touches on modesty briefly, but not as much as I would have thought: she mainly advocates not dressing in a way that would tempt anyone else, and remembering Whom you represent. Those two principles taken seriously and thoughtfully would take care of much of the problem. She also deals with pants, a big consideration in some conservative Christian circles. The first pastor I had as a Christian taught that Deuteronomy 22:5 (“The woman shall not wear that which pertaineth unto a man, neither shall a man put on a woman’s garment: for all that do so are abomination unto the Lord thy God.”) referred to women wearing pants. Around that time I saw a “Big Valley” episode in which it was scandalous when Audra wore pants, and I thought that sounded reasonable. Then I got to a Christian college, and one of my teachers pointed out that both men and women wore long, loose-fitting robes in those days. Hmm. Okay (though I am not entirely sure about that since the Bible also discusses “breeches“, at least for the priests, but that seems to have been worn under the robe anyway). And then, as Edith describes here, her father went as a missionary to China at a time when women wore trousers and men wore long tunics. Would it have helped or harmed the cause of Christ to cling to an understanding that women weren’t to wear pants in that context, especially when that passage is not talking about pants? The general principle carries over that men should dress obviously as men and women as women, but to distil this verse down just to wearing pants does it a disservice. For the record, I do wear dresses out of preference, and I think they are generally more modest: pants tend to outline everything you’ve got. I’ve seen more than I wanted to and more than I thought was appropriate via some women’s pants, though I admit I have also seen immodest dresses and very modest pants. I’ve worn pants during childbirth classes, and though I’m not a hiking or mountain climbing person, if I were, I’d have no trouble wearing modest pants for those activities or any other when they’d be more modest and appropriate than a dress. But I don’t judge those who are more comfortable wearing modest pants. Overall I enjoyed this chapter, both the truths that Edith brought out as well as the balance. Posted on June 26, 2013 by Barbara H.
Chapter 10 of The Hidden Art of Homemaking by Edith Schaeffer, which we’re discussing a chapter at a time at The Hidden Art of Homemaking Book Club hosted by Cindy at Ordo Amoris, is about drama. I didn’t think I would get much out of this chapter. I have little if any ability in regard to acting anything out. I remember one night at church when I was a child and we were supposed to be acting out a scene from the Bible where people were mourning (I think maybe the widow in the New Testament whose son had died whom Jesus raised to life). We either had veils or handkerchiefs – I remember all that showed for us “mourners” was our eyes, and I couldn’t stop giggling, but that left me red-faced and teary, so I suppose it had the same effect. 🙂 I tried maybe once doing a skit in college and was miserable at it. It’s hard for me to keep a straight face even when as a family we are trying to surprise or put something over on someone. I also wasn’t sure how Edith would incorporate drama into home life. I can see its use in the church or in Christian ministry, but in the home, at first the only application I could think of was in reading aloud to children. And that’s primarily what she talked about, though she ventured into some discussions of the value of reading books, different types of books to read, etc. Some of my favorite times with my children when they were young were when I read stories out loud to them, and though I’m not great at doing different voices for different characters, I made an attempt and also tried to convey the different emotions of what we were reading. I agree with much of she she said when one has young children, but if no one is interested as they all get older, if no one besides Mom would enjoy reading a book aloud together, then there is not much else one can do with that, at least until grandchildren come along. The Christian school where we used to live they did have moms and grandmothers come for class library times to read stories aloud for the elementary classes instead of the librarian always doing that. I’m surprised she didn’t venture into other areas that could use dramatic talent. One family in a former church had a mom who was very dramatic, and she was frequently asked to take on a character for cantatas or dramatic productions at church, and she and various members of her family were involved in a local community theater: she was the White Witch in The Lion, the Witch, and the Wardrobe, and I think one of her daughters was Lucy, and the whole family as well as several church members enjoyed seeing them do that. I think of Little Women and the various plays they put on, little puppets, even finger puppets, that we used with our children, pretending their stuffed animals were speaking to them or acting something out, etc. At lot of their play involved acting our various scenarios: school, church, etc. There are various ways to incorporate drama into family life, even for those of us who don’t necessarily have any latent dramatic longings such as she describes in the first few paragraphs. It can definitely be used for fun, but even reading the Bible aloud can and should be done, yet not overdone, with feeling rather than in a deadpan monotone. So I did end up having my imagination sparked and getting more out of this chapter than I thought I would. 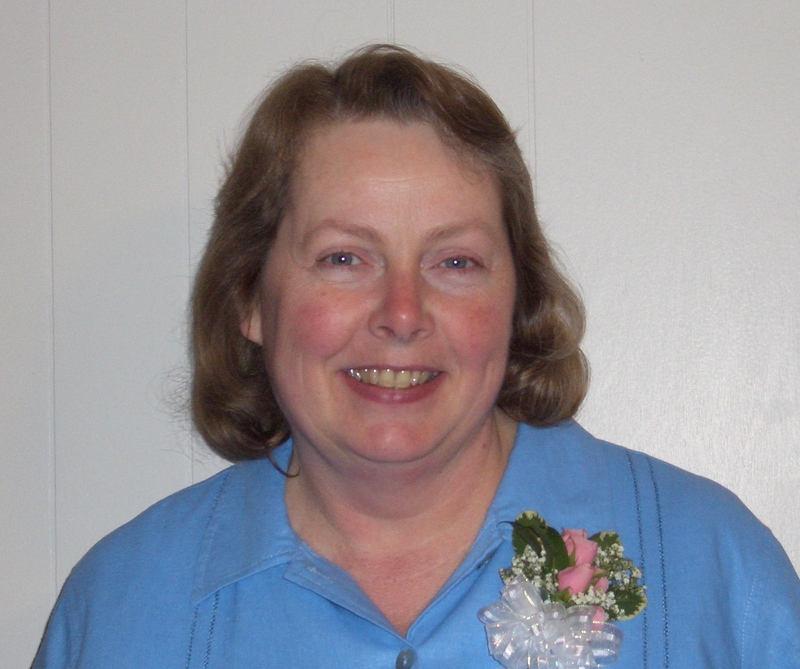 Posted on June 22, 2013 by Barbara H.
Chapter 9 of The Hidden Art of Homemaking by Edith Schaeffer, which we’re discussing a chapter at a time at The Hidden Art of Homemaking Book Club hosted by Cindy at Ordo Amoris, is about writing. I’m a little late reading and discussing it this week because we had family here until yesterday, but this is one chapter I did not want to miss. I’ve enjoyed writing since I was very young: poetry as a child and teen-ager, various journals (which I am grieved to say I threw away in my teens), letters, a handful of magazine articles, a few magazine columns, several years’ worth of monthly newsletters for a church ladies’ group, and a nearly 7 year old blog. I’ve always enjoyed expressing myself in that way, and find I can think things through more easily by writing about them. It’s hard to work through a swirling tangle of thoughts, and by writing I can take a strand at a time, pin it down, and then sort through them all. I’ve often wondered if God might have something more for me to do with writing. For years I’ve had a desire to write a book, but I don’t know if that’s just a personal ambition or something from the Lord. Edith encouraged me by saying, “Writing for the enjoyment of expression – like music or painting – does not need an audience of more than one,” and “If you simply love to write and want to do it, my advice is write. But write without ambitious pride, which makes you feel it is a ‘waste’ to write what will never be published. Write to communicate to someone, even if it is literally only one person. It is not a waste to write beautiful prose or poetry for one person’s eyes alone! (p. 136). She mentions several homey ways to write: notes in lunchboxes, cards, letters, writing out our prayers and praises to God, etc. She challenges us to write not just for people whose views are similar to our own. I love her description of trying to “formulate something in writing which will give them the feeling that they have been spending the evening with you, toasting their toes at the same fireplace with a pot of steaming tea by their sides while you have talked earnestly to them” (pp. 137-138). She encourages us, too, that not everything we write will be a “masterpiece,” or “accomplish its purpose, and more than each meal is going to be the ‘perfect meal’ or each painting the ‘perfect painting,'” but each time we write we can do so “in a way which comes across as giving of oneself” (p. 140). I received a thoughtful, handwritten thank you note this morning, a treasure in this electronic age, and can enjoy the reading of it over and over and the remembrance of my friend and our time together. Some of my treasures are letters, especially those from my mom, who did not write much (she preferred calling to writing), especially now that she has passed on. I have little from my maternal grandmother, who dies when I was four, besides two handwritten recipes, another treasure. 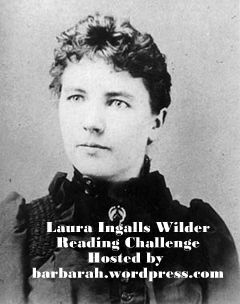 I was reminded, while reading this chapter, that Laura Ingalls Wilder and other writers didn’t start until later in life, and that she wrote magazine columns before books. That encourages me that sometimes things that have to be left on the back burner are more flavorful for their time there. Isobel Kuhn, a very expressive writer, began by writing “circular letters” of the people they ministered to in China for their supporters, lively descriptions rather than bare-faced facts and figures, and out of that grew her writing of several books. That encourages me that writing “where we are” can develop the skills for a wider audience later. So I am encouraged and refocused, to write as unto Him, to write as giving of myself, to write to encourage others, to write earnestly so as to make the other feel they’re right beside me, and to trust Him for leading, guidance, and grace to write in whatever venues He provides. And I am so very glad God communicated to us through writing, through the written Word and the Living Word. Posted on June 4, 2013 by Barbara H.
It’s Week 7 of The Hidden Art of Homemaking Book Club hosted by Cindy at Ordo Amoris where we’re discussing Edith Schaeffer’s book, The Hidden Art of Homemaking a chapter at a time. Chapter 7 focuses on flower arrangements, and Edith reiterates that one need not become an “expert” or go to great expense or study to incorporate the principals she discusses. She mainly discusses centerpieces, arguing that at the table there “should be something to bring realization, a warmth of knowing that someone has taken thought and put some originality into preparing the place where food and conversation are going to be shared” (p. 100). She argues that this should be done even when it is just the family at table or when one is alone, that it shouldn’t wait for “company.” “There is a ‘togetherness’ in sharing a prepared table that even very small children feel, although they cannot express it verbally. Instead of saying, ‘Oh, it doesn’t matter, it’s only the children,’ when you are alone with children for a meal, it is important to say the opposite to yourself. ‘I wonder what the children would enjoy most. '” (p. 104). And centerpieces don’t even have to be flowers: she lists several suggestions using shells, mirror, candles, etc. 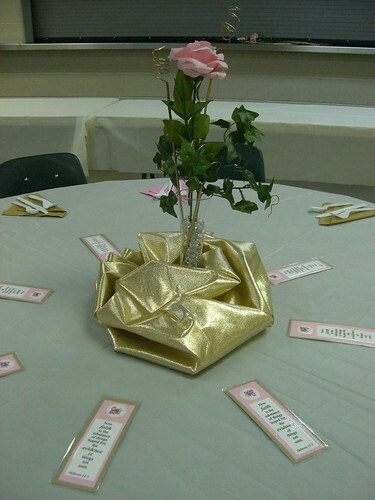 I have to admit that although I agree with what she says, we have never used centerpieces at the dining table. There just isn’t room. When passing food around at dinner, I think everyone here would rather be able to do so easily without having to work around something decorative in the middle. Our usual “centerpiece” is a cute napkin holder and the salt and pepper shakers. I do like to use nice tablecloths on holidays, but most of the time we use the table all through the day for other purposes, and I don’t want to have to keep moving a centerpiece in and out of the way. But I do have artificial flower arrangements in several rooms and think they are a great way to add color and brightness. I have a couple of “wall pockets” for the front door where I can toss in a few seasonal flowers. And I like to get fresh flowers every now and then, especially in winter when there is nothing much growing and I long for some color and beauty. 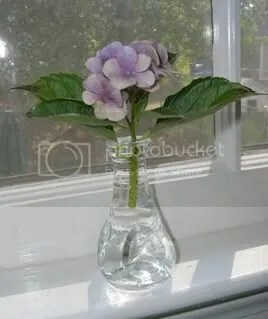 But even a few flowers from something outside in a vase on the windowsill is a nice touch. One good point she makes is that people tend to send an overabundance of flowers when a person is in the hospital, but then nothing during a long recuperation, so she suggests sending one simple flower or arrangement (not big expensive florist’s concoctions) each week or so to cheer the convalescent. 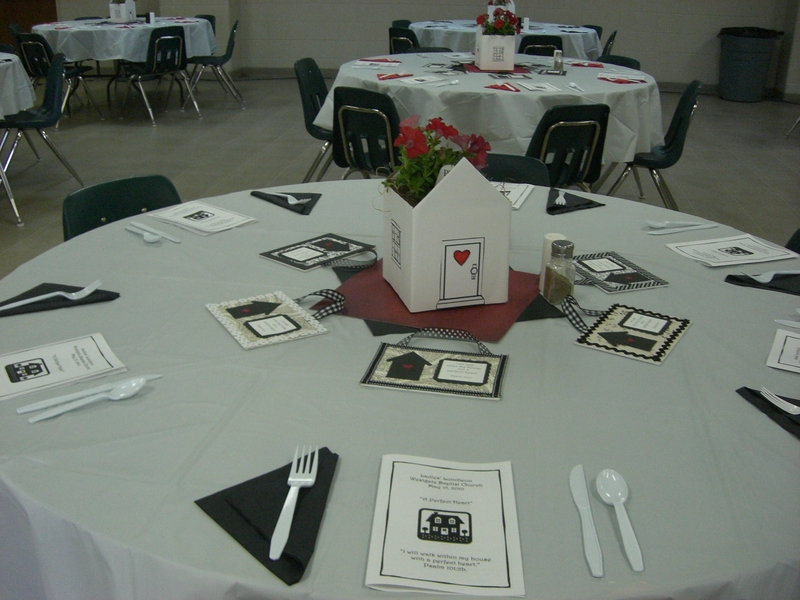 The theme of this one was “A Perfect Heart” from Psalm 101:2b: “I will walk within my house with a perfect heart.” The favors around the centerpiece had that verse as well as a little house with a heart on the front door, and the centerpiece was a covered cardboard box made to look like a house with a potted petunia in the center. I don’t remember the exact name for the theme for this one, but the program centered around a one-woman interpretation of one of my all-time favorite books, Evidence Not Seen by Darlene Deibler Rose. We chose the rose, of course, because the author’s last name is Rose, and gold because of the overarching theme of faith in her life (I Peter 1:7: “That the trial of your faith, being much more precious than of gold that perisheth, though it be tried with fire, might be found unto praise and honour and glory at the appearing of Jesus Christ.”) One of my favorite things about this one was the gold curlicues – they had been red and we spray painted them gold. 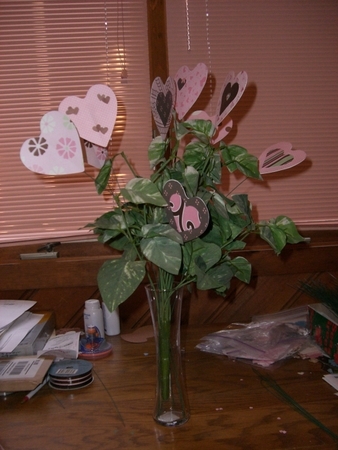 The theme of this one was ““The Heart of the Matter” from I Peter 3:3-4: “Whose adorning…let it be the hidden man of the heart.” The hearts were cut from scrapbooking paper: thankfully I had little punches for those shapes, so we didn’t have to cut them by hand. 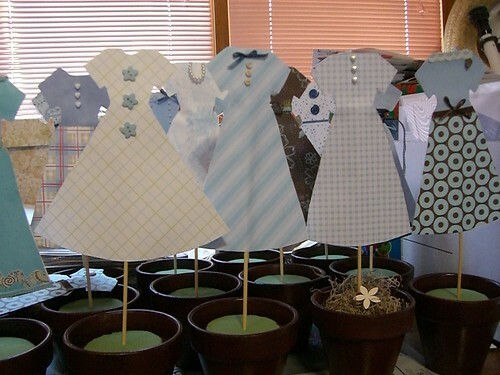 These were the centerpieces in progress for the theme “The Well-Dressed Woman from Ephesians 4:21-24: “If so be that ye have heard him, and have been taught by him, as the truth is in Jesus: That ye put off concerning the former conversation the old man, which is corrupt according to the deceitful lusts; And be renewed in the spirit of your mind; And that ye put on the new man, which after God is created in righteousness and true holiness.” I did go back later and cover the Styrofoam with Spanish moss and little paper flowers. Those are all the ones I have pictures of in the computer: the other photos are in shoeboxes I need to do something with some time. But one of my favorites was on the theme of patterns from Titus 2:7, “In all things shewing thyself a pattern of good works,” and on each table we had a different craft and patterns: a bowl of yarn balls and knitting needles with crochet and knitting patterns in one, a few dress patterns and piece of fabric on another, etc. For another, the theme was “A Woman’s Adornment,” from I Peter 3:3-4, and we borrowed vanity trays from the ladies at church and set them with sets of gloves (also borrowed), little buttons that looked like brooches (from Michael’s), and little bottles that were meant to look like perfume bottles (I had originally wanted perfume atomizers, but they were hard to find and expensive) and a single rose. 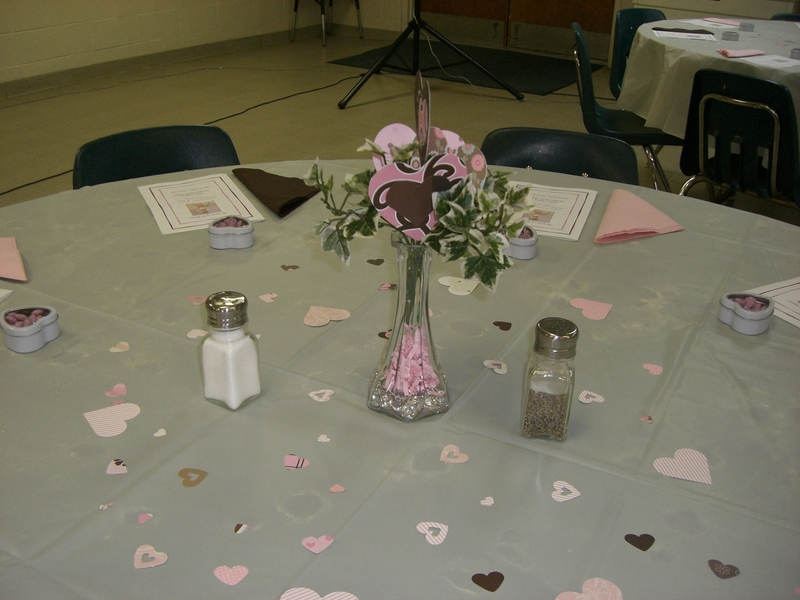 I almost didn’t include these since they are churchy and not homey, but thought they might be useful in sharing some ideas that aren’t always “traditional” centerpieces. One of my Pinterest boards is Table settings – I like the simplest ones best. I might add some of them in to the Hidden Art of Homemaking Board. More discussions on this chapter can be found here. Posted on May 29, 2013 by Barbara H.
It’s Week 6 of The Hidden Art of Homemaking Book Club hosted by Cindy at Ordo Amoris where we’re discussing Edith Schaeffer’s book, The Hidden Art of Homemaking a chapter at a time. Chapter 6 discusses “Gardens and Gardening,” and Edith applies some of the same principles as in other chapters, that people don’t necessarily need to become experts, get a degree, start a farm, etc., to participate and benefit by doing a little gardening, but they can start small, as she did with what we would call now container gardening, or with a small space of land. She lists many of the benefits of gardening (exercise, contributing to rather than taking from the environment, the pleasure and anticipation of planting something and watching it grow, etc.) and a few of the many Biblical allusions to planting. And while I understand and agree with all of that, I have to confess, I am no gardener. My husband had a garden for a few years, but it was a battle royal to keep bugs from destroying it, and at certain times of the year it was more pressure that relaxation to keep up with it. I have not been able to spend more than a very few minutes on my knees since TM, even with a pad, so I am not keen to go start a garden myself. I have thought of starting some squash growing in a container or two, since often what I find in the store is so sad-looking, and have also thought of growing some herbs. I’d have to figure out better ways of battling the bugs – I cringe at spraying pesticides over something I am going to eat. I do a little better with ornamental plants. Somehow both at our former house and this one, rose bushes have flourished despite me, not because of me. I think some of my first plants were hanging baskets, just the basic petunias, impatiens, and begonias. Last year I tried verbena for the first time, and this year some blue lobelia and pink Gerber daisies. At our last home there was a purple hydrangea bush that I just loved and wanted one here: the one I planted last year is putting forth buds (I can’t remember what color I bought, though. 🙂 Either pink or blue, as they didn’t have purple, but I think the color of the bloom primarily depends on the soil, anyway. I’m excited to see how they turn out). I do want to plant some bulbs some time for early spring blooms. With this chapter, as well, as the others, if we have little or no experience at all in the given topic, we can start out small, learn as we go, and expand. I do enjoy walking around the plant sections at stores and seeing what kinds of things are there and wondering how I can incorporate them. This one came with this variety of plants all together: all I had to do was transplant it into this container. It has filled out nicely. More discussion on this chapter can be found here. Posted on May 21, 2013 by Barbara H.
It’s Week 5 of The Hidden Art of Homemaking Book Club hosted by Cindy at Ordo Amoris where we’re discussing Edith Schaeffer’s book, The Hidden Art of Homemaking a chapter at a time. Chapter 5 is about Interior Decoration, and I have to say I think this might be the chapter I feel most at home in so far, because Edith talks about decorating one’s living space, whether a “dream home” or a boarding house room, not with the latest decorating fads for a magazine-worthy decor, but with originality and personality. She says our “spot” should not only express something of ourselves to visitors but should also be a place that is satisfying and feels “at home” to us. She advises the reader not to wait for certain funds or the ideal home (some of my frustrations along those lines are here) or even for marriage, but to start right where we are with personal touches to our space, and as she has said in previous chapters, ideas beget ideas, creativity begets more creativity. She shares some personal examples that may be beyond the scope of what many of us can or want to do, but they’re good for sparking ideas. Some are time-honored traditions, like making quilts or rugs from scraps, or restoring old furniture rather than buying new. We did some of this when we were first married, transforming a storage barrel used in college into a side table with a long tablecloth over it. Once when the kids wanted a tree house, and new lumber was prohibitively expensive, my husband found some used wooden palettes and took the boards apart, sanded them down and made a great tree house. That was one of the things I hated leaving behind when we moved. After last week’s chapter about drawing and sketching, I began to wonder why she didn’t include crafts or home arts, like embroidery, quilting, etc., but she mentions them here. There is nothing inherently wrong with buying new furniture and decorations, and we’ve done a good bit of that as well, but the goal should be to make it homey and express one’s own tastes and personality. We do need to keep in mind the other people with whom we live. I don’t believe in stripping the place bare when young children are in the house, but that’s probably not the time for antique vases. I have decidedly feminine tastes in decorating, but living with all males, I’ve tried to have the family room, at least, more neutral. 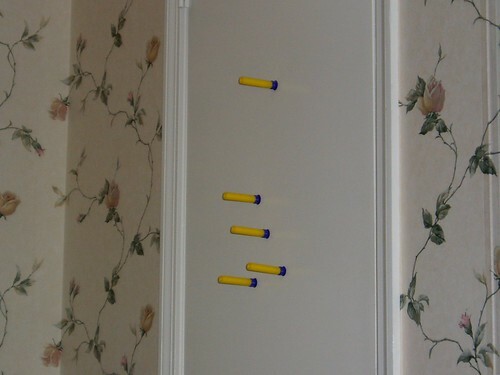 My husband has said that if he lived alone he probably wouldn’t think to decorate, but he does appreciate the homeyness decorations add. He usually leaves the decorating choices up to me, but we do major furniture shopping together and consult on paint colors, etc. We need to keep in mind, too, that “this world is not our [ultimate] home,” that we’re to lay up treasures in heaven rather than earth, that here on earth moth doth corrupt and thieves can break through and steal, and we’re not to set out hearts too much on “things.” And sometimes “we are to be willing to sacrifice in the area of material things as well as in all other areas, to put first the things of God, to put first His use of our time, or money, and our talents” (p. 79). I was reminded of that just yesterday morning with this post about a time of loss. Isobel Kuhn tells of a time early in her marriage when they were ministering to a poor tribe whose manners were decidedly different from her own. She was pleased with her nesting and her newlywed “things,” but then one of the women blew her nose into her hands and then wiped them on the new couch, and a mother held her baby away from her while the baby urinated on the new rug. Those things weren’t done to express hostility toward Isobel – it’s just the way things were done there. She had to struggle to not let her precious “things” take precedence in her heart over the needs of the people she was working with, and she learned to be very practical with her possessions. The Goforths lost everything four different times in their lives. After the last time, “when, in the privacy of their own room, the ‘weaker vessel’ broke down and wept bitter, rebellious tears, Goforth sought to comfort her by saying, ‘My dear, after all, they’re only things and the Word says, ‘Take joyfully the spoiling of your goods!’ Cheer up, we’ll get along somehow.’” He wasn’t being calloused: he had a generally faith-filled, buoyant spirit, while his wife had…one rather more like my own. We need to hold all of God’s material gifts to us loosely, remembering they are ultimately His and He has promised to supply all we need. But even within those parameters, He often allows for some expression of personality and creativity in our living spaces. I shared a tour of my house here, but I thought I might share just a couple of those expressions of personality here. I collected Boyd’s Bears figurines for a while, and this is a small figurine of a flower basket with a teeny little bear hiding in it. I kept it on the windowsill above the kitchen sink for a while. 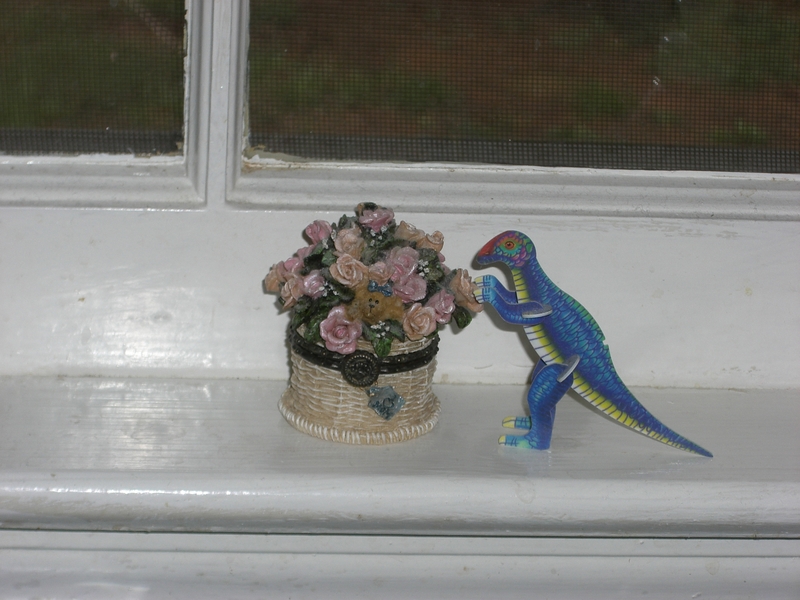 One day I found this little dinosaur next to it, put there by one of the boys when they were younger. I don’t know if the dinosaur was supposed to be after the flowers or the bear. 🙂 Or maybe the boys were just adding to the decorations. But I’ve always loved this as a picture of living with boys, and now I keep these together in a little curio cabinet. I mentioned Boyd’s Bear figurines – I posted some of my collection here. I just love their little faces and the details of them. There is only room for so many, though, before they become just a blur of too many to keep track of, but I tried to get my collection to reflect my interests – there is one holding the music to an Irish folks song, one reading a book, a couple cooking, several “Mom” and “couple” ones. 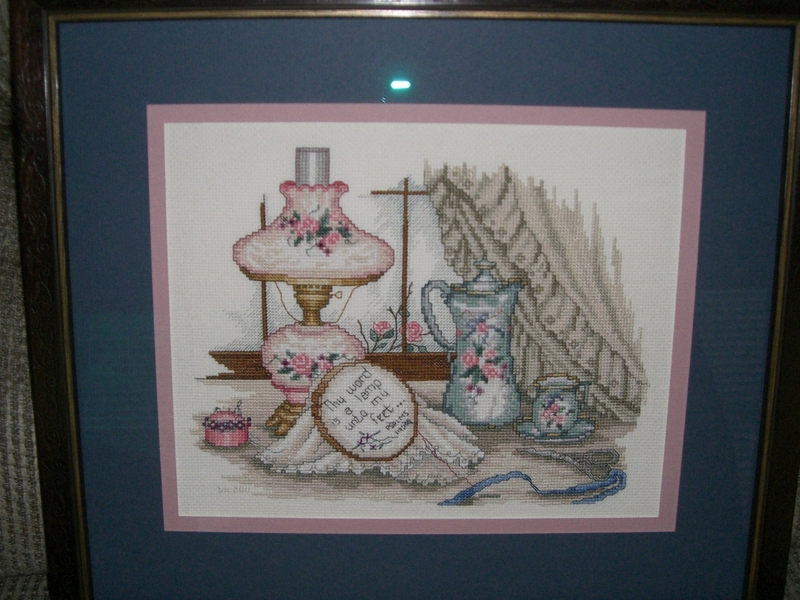 Most were given to me by my husband or Mom. 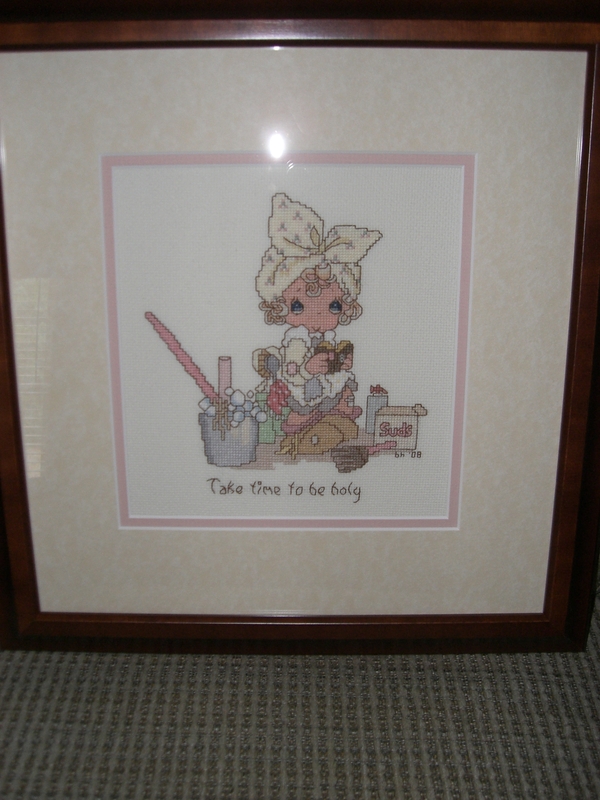 Another of my favorites is a needlepoint piece I did when expecting my first son. My youngest still had it up in his room until his twelfth birthday, when we took it down so he wouldn’t get teased about it. That was kind of sad – an official turning from little boyhood. 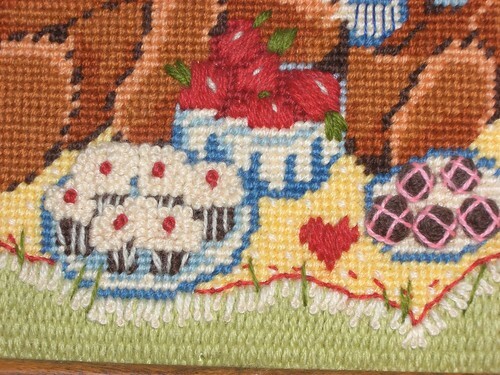 You can’t really tell from the picture, but there are different types of stitching in different places and the little cookies are raised rather than flat. This is one I am hanging on to. I don’t know if I will hand it off to a grandchild (if any of their parents want it) or keep it for a playroom here. Our only investment in “real art” was a set of prints by Paula Vaughan, a gift to me from my husband, who knew how much I liked them. 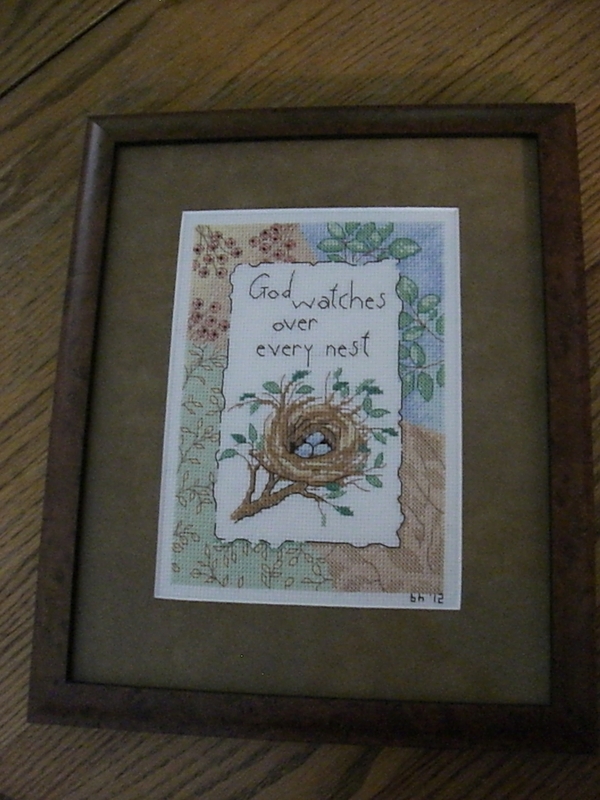 But I have also framed cards and pages from calendars. I did have one class in Home Furnishings in college, where we learned a bit about elements of art and principles of design, but I am far, far from expert in it. I never did get to go on and take the next class, Interior Decorating, which I would have loved, I think. Sometimes I watch decorating shows and “get” what the designers are saying, sometimes I have no idea. 🙂 I don’t always agree with what they do, but I sometimes enjoy listening to their reasons. But though some of these principles and elements are helpful (i.e., wondering why something looks “wrong” with the end table next to the couch and then realizing that it’s because the lamp there is way too small in proportion to the rest of the furniture), overall what’s most important is what Edith stresses: making a place homey, comfortable, and an expression of your own creativity and personality. More discussion on this chapter is here. This post will be also linked to Women Living Well. Posted on May 14, 2013 by Barbara H.
It’s Week 4 of The Hidden Art of Homemaking Book Club hosted by Cindy at Ordo Amoris where we’re discussing Edith Schaeffer’s book, The Hidden Art of Homemaking a chapter at a time. In Chapter 4 Edith discusses how to incorporate “Painting, Sketching, and Sculpturing” into everyday life as an expression of creativity and encourages us that we can do so without having formal training or making a career of it. It can be used, just like the other categories of creativity that she’s discussed, to enrich our lives and stimulate our imaginations. I don’t even remember doodling much in high school or college. In Junior High a new classmate said something about having had art in her previous school, and I was incredulous and envious. I don’t remember having any kind of artistic instruction in school (until a college Art Appreciation class), and no one in my family, as far as I knew, had any artistic tendencies. Somehow my middle son developed a talent for drawing quite well in his later high school and college years, mostly teaching himself with various art books, except for a year or when he was under the instruction of a gifted art teacher who helped him refine his talents. I went through a “paint by number” phase in elementary school. I did enjoy a little bit of painting when a talented lady in one church we were in hosted a night to teach other ladies how to paint a flower on a tote bag. She used the same pattern with everyone to make easier to teach en masse but had different paints so we could each choose our own colors. It was exciting to me to learn to use light and shade to make a flat blob of a flower appear more realistic. I took a couple of One Stroke painting classes at Michael’s and loved them, but just never went any further with it. 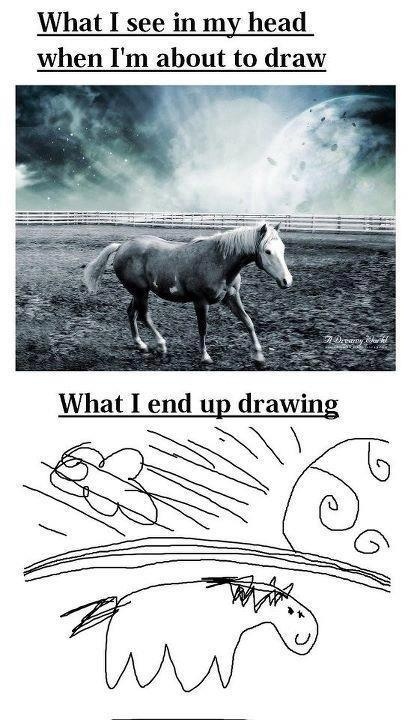 But though I can’t draw well, I can use aids. I went through periods of using stamps or stencils or even stickers to make cards or decorate various things. I like to buy decorative Post-it notes or notepads rather than plain ones. I disagree with Edith when she says “Original ideas carried out can be an expression of love and care which cannot be made by buying something ‘ready made’ or plastic” (p. 50). I think that kind of thinking can be burdensome and guilt-inducing, to feel personally or to make our loved ones feel that a gift that’s store-bought doesn’t “measure up” to something hand-made. She didn’t discuss art appreciation in this chapter, but she has discussed in other chapters that we can come to appreciate forms of creativity that we may have no talent in ourselves. I did mention an Art Appreciation class in college: I enjoyed it, but didn’t retain much from it, perhaps because one can’t go over the material as readily as one can music from Music Appreciation. Unfortunately we did not go to museums much as the children were growing up, so I’m afraid I’ve perpetuated my ignorance in this area. I found one neat book about identifying art and artists that I wanted to use some time with them, but we never got around to it. These days, however, there is so much information available on the Internet that one can learn something of classic art if one wants to. I did discover over the years that I seem to like realistic more that abstract art, like that of Normal Rockwell and some of the old masters, though I liked some of the Impressionists, too, like Mary Cassatt. I find that I do enjoy art more by learning about it: the last time we were at a museum, as we were leaving I saw there were headphones one could use for a self-guided tour, and I thought that would be the way to really get the most out of it (for me). But besides learning about great paintings and painters, one can develop an eye for artistry, for appreciation of color and design. I think for me that happened mostly through a Home Interiors class (thankfully interior decorating is the next chapter!) and then grew through various craft classes and helped as I started doing a newsletter for our church ladies’ group in terms of layout, making a cover page that is reasonably attractive, etc. Someone who really knew what they were doing in that area could probably point out many ways in which I could improve, and that’s fine – we all can grow, no matter what our level of knowledge or talent. But I am thankful for the ways I have grown so far. I liked her idea of using drawing, even simple stick figures, to not only help keep a child’s interest during a sermon but also to help them grasp what was being taught. A former pastor used to say that it helped him in his Bible study to draw things out as he read. My favorite line in this chapter, which really could be applied to the whole book, is “Ideas carried out stimulate more ideas” (p 49). I tend to gather a lot of ideas and my imagination can be stimulated by perusing Pinterest or web sites or books, but even that doesn’t compare to actually carrying out those ideas. Whatever area of creativity we’re discussing, just starting in some way or another stimulates more ideas, more creativity. You can find more discussions on this chapter here. Chapter 1: The First Artist. Chapter 2: What Is Hidden Art?